Lia, a ballet dancer, pedagogue and choreographer, was born in Vienna in 1926 to a Jewish family. In 1930 her family immigrated to Zagreb, Yugoslavia due to increasing anti-Semitism in Vienna. There, at the age of 10 she began studying ballet with Margaretha Forman. In 1938 her family relocated to Paris and Lia began learning at the Music National Conservatoire with Solange Schwartz. In Paris Lia studied with the Russian teacher Olga Preobrajenskaja, Egorova, Victor Gsovsky and Nora Kiss. In addition, she studied the history of dance with Pierre Conte, mimics with Decroux, acting, Modern and Character dance. 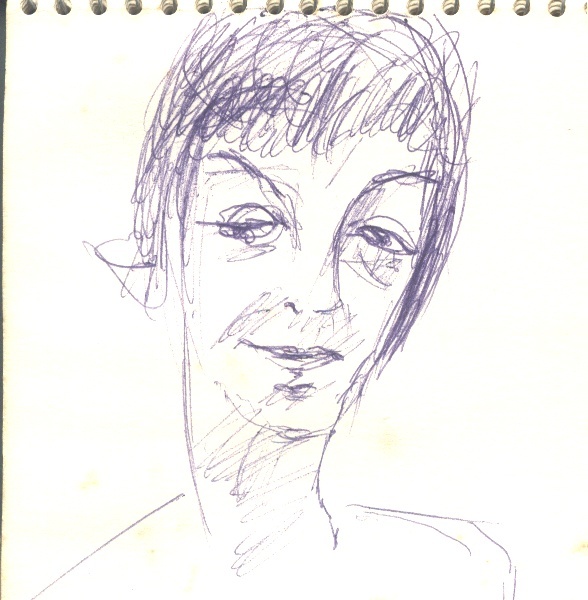 In an interview Lia Schubert gave in 1968 to Lillian Karina (Karina & Kant, 2004) at the academy she was directing in Göteborg she recounted the events of her family during the Second World War. Upon the breaking out of the war and the rumors about the Germans approaching the outskirts of Paris, the Schubert family decided to run for their life. Lia recounts," Like lots of other Jews we took to the roads, where we tried to survive...we had to wear the Star of David...For me it meant that I had to give up my place at the Paris Conservatoire..." (Karina & Kant, 2004, p. 49). In the course of their escape her father was sent to a transit camp, but Lia, her mother and her brother Walter managed to find shelter in a village in the non-occupied area that was under the auspices of the Vichy Government. However, they too were arrested and sent to Vermissieux, a transit camp near Lyon. A night before Lia was sent to the Extermination Camp she had been smuggled with an ambulance to a hospital in Lyon by the members of the Jewish Resistance Movement, while her sick mother was drugged with medications and transferred to the hospital in Lyon. From there, the members of the Resistance Movement sent her mother to an old-age home in the village, where she was supposed to survive till the end of the war. Nevertheless, things turned out differently. When two German soldiers were shot in the village, the Germans searched the homes and found her mother, who was too exhausted to maintain her false identity. Later on Lia found out that her mother died on her way to Auschwitz. As to her brother, with whom she lost contact the night she was smuggled by the ambulance, all her attempts, at the end of the war, to find out what had happened to him failed. During the search conducted by the Germans Lia managed to escape the village and join the Resistance. Due to her young age she was not allowed to be active and she left the Resistance Movement. Karina (Karina & Kant, 2004) recounts that Lia arrived with forged papers at Marseilles, where she found work at the Opera Ballet as a coryphée, however there too she was not fortunate. In 1944 the Gestapo searched for her during a performance, but with the help of her friends she managed to change quickly her performance clothes to casual clothes and escape through the dancers' entrance. Lia reached Wacker's studio at Place Clichy in Paris, where Grand Masters, who emigrated from Russia, were teaching. They were immigrants like her and did not ask unnecessary questions. Lia was lucky since Victor Gsovsky, one of her first teachers, taught there. Gsovsky, who understood her situation, gave her an address where she could hide. Later on her brother's fiancée and friends from the Resistance joined her. During day time they wandered in the streets of Paris, because in situations of serious trouble they could easily assimilate among the crowds. At night they stayed in their hiding place in complete silence. Paris was released on August 25th 1944, but no one of her family returned. Lia was the only survivor of her family. After the war Lia worked in rehabilitating children who survived the extermination camps. She renewed her dancing studies, worked with several French dancing ensembles as a soloist and the assistant of Leonid Massine at the Paris Theatre. At that time Lia decided to give up her dancer's career and focus on teaching ballet and choreography (Hummergren, 2000). In 1950 Lia began working at the Municipal Theatre in the city of Malmo, Sweden as a ballet teacher and soloist dancer in the ensemble, where she established a workshop dance group. In 1953 she moved to Stockholm where she opened a private studio, which became the Ballet Academy in 1957. Later on the Academy developed into a dance center, where classes were given in fields such as classical ballet, history dance, dance of other cultures, dancing for children and modern dance. Lia cooperated with the Folkuniversitet, an organization related to the University of Stockholm granting informal high education to the public (Hummergren, 2000). In the course of its first years the Academy served as a meeting place for amateur and professional dancers as well as actors, musicians and visual artists. In addition Lia established the Stockholm Dance Theatre that toured the Scandinavian countries with a variety of ballet performances. Important dancers and choreographers in Sweden studied at the Ballet Academy in Stockholm which she directed, and she gained recognition as an approach-innovator of dance education, as well as for her open-mindedness regarding various dance trends that she encouraged. At that time, and via the Academy school, the Jazz dance genre became popular in Sweden drawing much attention to it. Jazz performances were staged by the school students together with the dancers of the Swedish Royal Ballet dancers. In addition, Lia taught as a quest teacher, inter alia, in Sweden, East Germany, The Opera House of Oslo, Colon and Bern. In 1968, after having served for11 years as the Artistic director of the Ballet Academy in Stockholm, Lia arrived in Israel. In the first year of her stay in Israel she taught ballet at the Batsheva Ensemble, Bat-Dor Dance Company, the Music and Dance Academy in Jerusalem and at the Inbal Dance Theatre where she also served as the rehearsal director. In 1969 Lia established, together with the dancer Kaj Lutman (called Selling in Sweden), the major dancer at the Swedish Royal Opera who had international reputation, the Haifa Dance Center school and the Dance troupe Bimat Harakdanim (The dancers' stage) at the Rothschild Center in Haifa, based on a group of dancers that Oshra Elkayam-Ronen established already in 1967 (Eshel, 1993). Basing the aforementioned on two reputable and rich stage-experienced dance artists constituted a promise for the future. In 1974, after a generation of classical dancers grew and matured at their school, Schubert and Lutman decided to concentrate on the ballet genre and established the Haifa Ballet Piccolo, supportedby the Ministry of Culture, the Ministry of Education and Haifa Municipality. The troupe provided stage- experience opportunity for young dancers, the school graduates, and fostered their artistic personality. 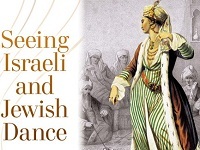 The dancing troupe performed in Haifa, Tel-Aviv and Jerusalem as well as on several television programs. 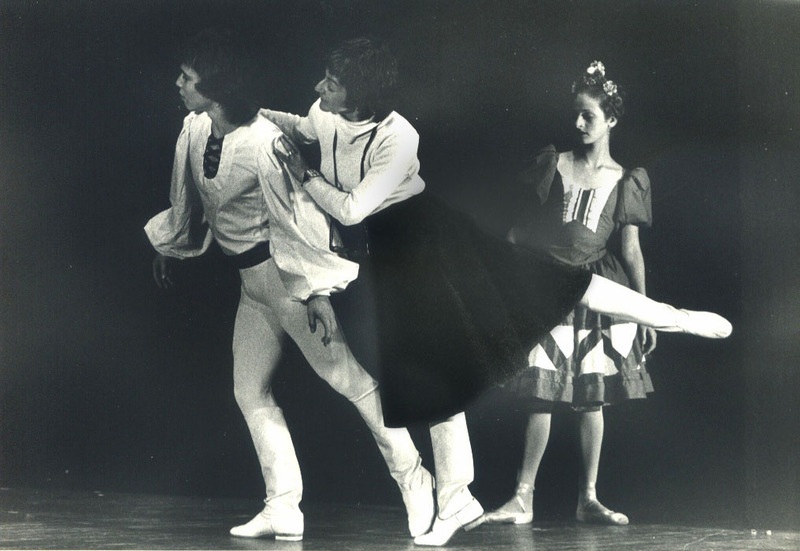 Among the dances Schubert created for the group: Cinderella (1974), Coppélia (1974) and the Hoopoe Legend (1976). Thanks to the school and the dance troupe Schubert and Lutman turned Haifa into an important and vivid dance center in Israel (Eshel, 1993). At the school arrived teachers such as Linda Hodes (an American dancer, teacher and choreographer who will subsequently be the director of Martha Graham's Company), Linda Rabin (subsequently a dancing teacher in Montreal), Jean Hill Sagan (choreographer in various dance ensembles in Israel), Keneth Gustafson (dancer at the Cullberg Ballet), Rena Gluck (then the soloist at the Batsheva Dance Company and subsequently the Dean of the Dance and Movement Faculty at the Music and Dance Academy in Jerusalem), and others. The school has established generations of teachers, among them: Dvorah Shalmi (Harmelin), Henia Bin (Rottenberg), Varda Zehavi (Lembersky), Shirley Novak, Chava Bakal, Nira Dayan, Aviva Haber and Shosh Assiag (Ben-Dov). Among the dancers this Center has trained are Sarit Beker (danced at the Nederland Ballet), Iris Gil-Lahad (danced at the Israeli Ballet, the Batsheva Dance Company and was the director of Batsheva Dance Ensemble), Liora Axelrod (danced in TAMAR dance company), Iris Birenbaum (dance in the Israeli Ballet), Yael Pinkas (dance in the Israeli Ballet), Adam Pasternak (subsequently the director and choreographer of the Haifa Ballet Company) and Ruth Eshel (dancer at Batsheva-2 and an independent dancer-creator) (Eshel, 2000). Although the school flourished, the dance company's expenses caused financial difficulties that were hard to overcome. 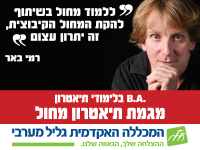 In 1976 Lutman was invited to be the Artistic Director of Batsheva Company and he left Haifa. In 1978 Lia too decided to leave Haifa and returned to Sweden where she settled in Göteborg with her husband, the painter Jan van den Bergen. Lia directed a government supported Dance Academy in Göteborg till she passed away from a severe lung disease on January 16, 2000. The dance school established by Lia Schubert and Kaj Lutman in 1969, The Haifa Dance Center, was designated for students of various ages and professional knowledge levels. Emphasis was put on classical ballet but other theatrical dance forms were taught as well. The school had several tracks of studies (based on the school information booklet). The course program was designated for students with basic knowledge in one or more dance genres. The course's objective was to develop the students' technical ability in the following dance genres: classical ballet, modern dance, Jazz, international folklore and Spanish dancing and/or other subjects related to dancing. Students achieving during the course good technical ability, continued to special pedagogy lessons training them for teaching dancing at a basic level. Students who graduated a two or three-year course (depending on the student's initial level in the program, their abilities and development) received a Diploma from the Dance Center. The course's weekly curriculum included 16-18 learning hours, and only students who took the full curriculum were entitled to a diploma. The course was subsidized by the Ministry of Education, the Ministry of Education and Haifa Municipality. Scholarships covering part of the annual fee were granted by the Ministry of Education after submitting an application to the scholarship committee. Pre-professional A - basic level for ages 9-13 with at least one year of training in basic classical ballet. Pre-professional B - intermediate level for ages 11-14, designated for select students who had studied at least one year at the pre-professional A level or had intensive training of a similar level elsewhere. Pre-professional C - advanced level for ages 14 and up designated for select students with advanced technical level of ballet. Advanced students could receive scholarships every year to cover part of the tuition fee. Most of the Pre-professional C students were also dancers at the Haifa Piccolo Ballet. The school offered a variety of non-professional lessons for children and youth at various levels. The lessons were in ballet, modern dance, Jazz and international folklore and were given by professional teachers. Spanish dancing was offered to children and youth with basic knowledge in ballet. The children and the youth had to participate at least in two weekly lessons to achieve progress. Combinations of different dance techniques such as ballet and folklore, or Spanish dance, or modern dance and ballet, or modern dance and Jazz were considered constructive to train the students, from the very beginning, to various dance styles. The objective of all the lessons was to obtain, together with the artistic skills also good posture, mental and physical discipline as well as musical awareness. For the ages of four to about eight and a half, when the child's body is in a constant process of development and cannot take upon itself the discipline of ballet studies, the school offered a special program. In Dance Games the lessons engaged in strengthening the body and providing good physical posture, musicality and coordination development. Along with these, emphasis was put on creativity and the pleasure of organizing the movement and moving about. Level A was designated for the ages of six and a half to seven and a half. The lessons contained basic ballet exercises, and creativity continued to constitute the major role during the lessons. The basic ballet exercises were learnt in the form of game. Level B was introduction to ballet and designed for children at the age of seven and a half to eight and a half. The program integrated basic exercises in ballet technique matching the development of the young body. Emphasis was put on developing more accurate musical awareness, and although discipline began being an integral part of the lesson, the creative improvisational part had still a great weight. The "Dance Center" offered lessons of various levels for adults during the morning, the late afternoon and evening hours. The objective of participating in one or more weekly lessons was to develop the posture of a healthy body and good physical discipline. The training would provide the student with awareness of a certain dancing form and its basics. Any dance form - classical ballet, modern dancing, composition, Jazz, international folklore and Spanish dance - will be taught by teachers specializing in the field. In order to obtain achievements it is recommended to integrated a few dancing forms and take at least two lessons a week. Hummergren, Lena. Sweden: Equal rights to dance? Grau, Andrée & Jordan, Stephanie (Eds.) 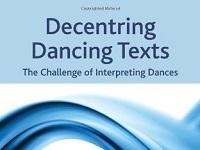 Europe Dancing: Perspectives on Theatre Dance and Cultural Identity. London & New York: Routledge, 2000, pp. 168-187. Karina, Lillian & Kant Marion. Hitler's dancers: German Modern Dance and the Third Reich. New York & Oxford: Bergaben Books, 2004.